Has Kim Jong un taken the hook? Kim Jong un of North Korea seems to have no choice than go ahead with the planned summit with President Donald Trump of the United States. Despite the cancellation of the summit this past week by President Trump, due to what he calls North Korea's anger and open hostility, development has shown that the U.S. has continued preparation for the summit between the two leaders, amid believe that North Korea has agreed to denuclearize. If it is true that North Korea has agreed to denuclearize, it will mean a great diplomatic victory for the U.S. effort toward North Korea's complete denuclearization. It could also mean that despite North Korea's tough stances in the past weeks that it would not denuclearize, it was a case of an empty barrel making the most noise. Observers believe that Jing un's power to negotiate with the Trump over North Korea's arsenal of nuclear armament may have become vulnerable due to the impact of sanctions on the country, which North Korea's leaders will not openly admit. Jong un's meeting with the South Korean leader soon after Trump's sudden cancellation of the June 12 summit and expression that the North Korea still looked forward for the summit between the two leaders represents an expression that the country has expectation of gains from the summit, even if it will mean submitting to complete denuclearization that the U.S. has requested for there to be any talk between the two leaders. 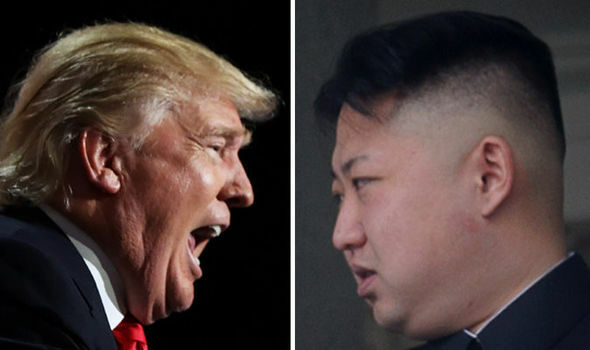 As the matter currently stands, the U.S. is preparing for the summit between the two leaders on the side of strength against North Korea's weakness and capitulation and readiness to denuclearize before the summit. As analysts have already said, Jong un is possibly looking forward to become a respected leader, shoulder to shoulder with president trump, and to also make his country seize to be a pariah nation. Thirdly, all the sanctions that the U.S. has placed on the country to force it to a round table that are currently hurting the country and ordinary North Koreans will also be gone. It looks much in the interest of Jong un and the North Korea to agree to parley with the U.S., than not to agree and continue to be belligerent. This is like a story about a fisherman and a fish. When the fisherman throws the hook into the water and gets the fish, the fish will have no choice than submit to the fisherman. Of course, the fish will struggle for sometime to get off the hook, but when it realizes that there is no way of getting off the hook, submission will be the last resort.